WITH A LOVE FOR WEDDINGS, I WORK WITH YOU TO MAKE YOUR WEDDING DAY MAGIC AND ONE TO REMEMBER. ALSO SPECIALIZING IN WORKSHOPS, SHOOTOUTS AND CONTENT CREATION FOR PHOTOGS AND STYLISTS. So glad you took the time to stop by and visit my website. I am Sarah, the face and creator of Sarah May Designs. I style + plan + design to make your dreams a reality and your visions come to life. I take an ordinary space and turn it into something unique and sentimental to you! 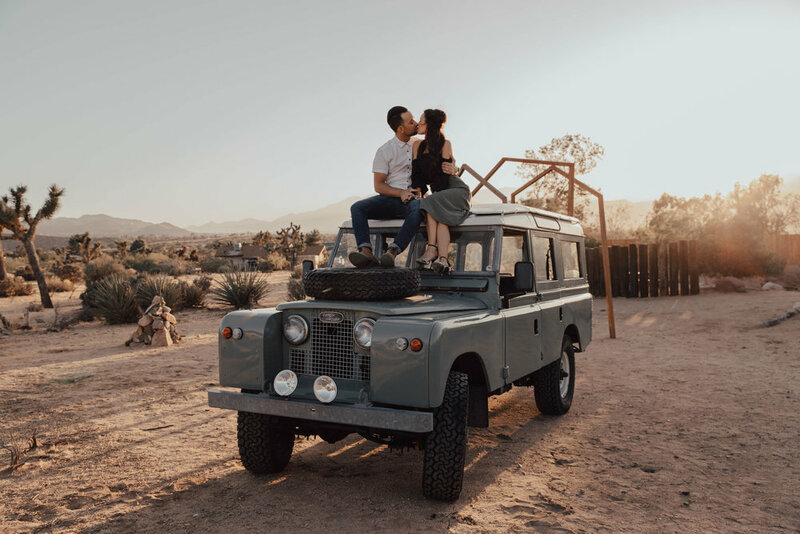 I love working with clients + photographers to achieve a goal in mind whether it's designing a wedding, styling a shoot or helping you to brand your business. I create every space with intention and purpose so every client is happy with the end result. Each project absolutely means the world to me and I hope my work shows for itself. One of my favorite things about working together on a project is building a relationship with you. I hope that we can work together soon on a project you might have in mind! what is style + design? DESIGN is coming up with an idea and putting together a vision and then sourcing those items to make your vision come to life. For example: color scheme, rentals, decor, and any other details you may want for your big day. STYLING is completely different from designing. A stylist will pull together all wedding decor and details the day of your wedding or event. This is where a stylist’s vision comes to life and truly expresses a stylist talent. 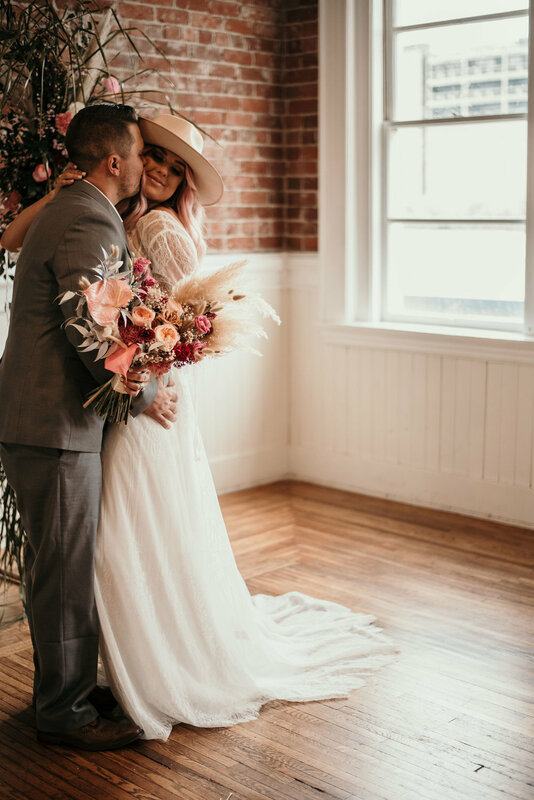 From creating depth + dimension, using unique elements and creating one of a kind spaces just for you, a stylist is a must have for your special day. Together, design + style will create a unique one of a kind space. They work together seamlessly and hiring someone to help you design + style your big day is worth every penny! Styling isn’t just about a ceremony backdrop or table settings, it’s about bringing together elements and details of your wedding to make a statement and to last a lifetime! For the bride who has already put together decor and her vision for her big day prior to wedding day. 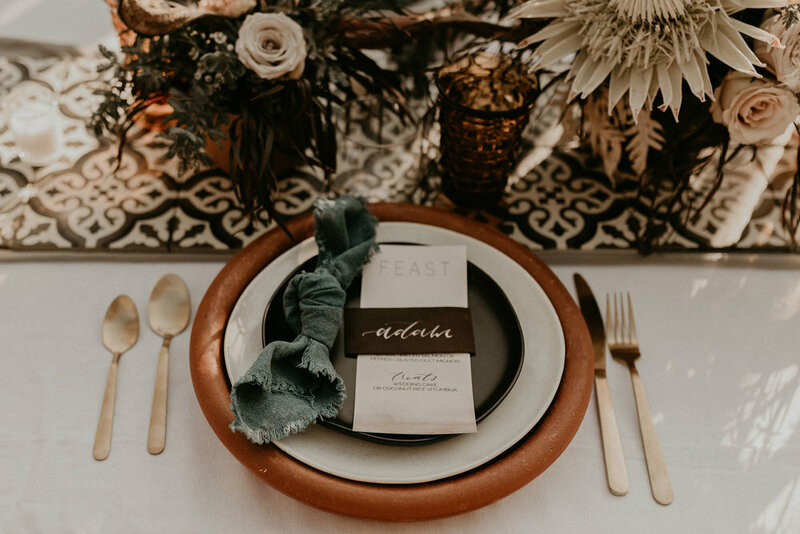 Month of styling includes one meeting with me prior to wedding day, a venue walkthrough to discuss decor items + details, and finalizing layout and aesthetic. 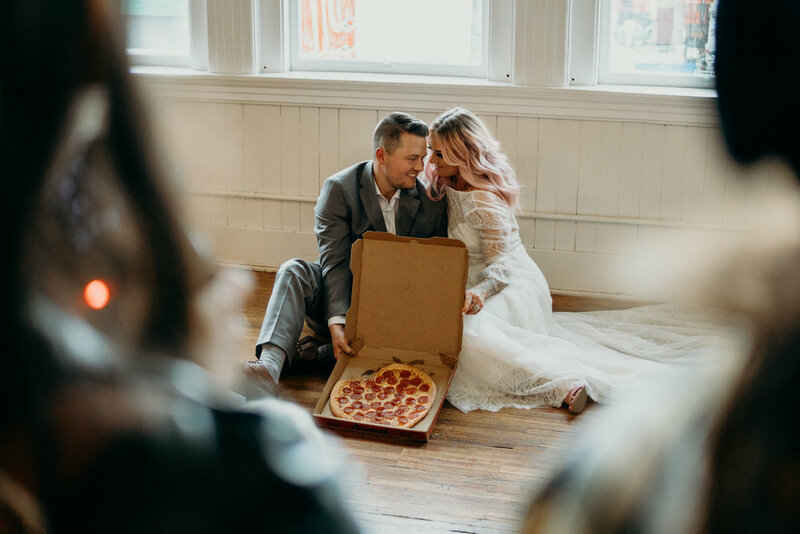 Day of includes: placing all decor items and pieces around ceremony + reception, styling your invitation suite, wedding dress, guest book, dessert table and so much more. You just worry about getting hitched and leaving all the details up to me! This is for the bride who knows she wants a specific look for her special day but needs that one person to help her put everything together. 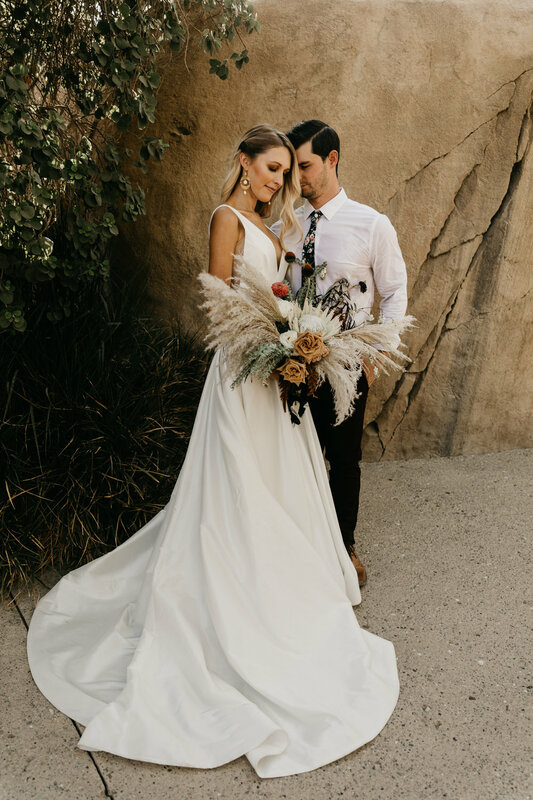 Whether it’s a boho, modern, rustic or moroccan wedding you are dreaming of, I help you to take all your pinning ideas and create a unique wedding design perfectly fit for you! Helping you to finalize every detail. Day of, I style + design everything we talked about prior and create the wedding of your dreams. All you have to worry about is getting married and enjoying your special day! HELP! You don’t even know where to begin when it comes to your wedding…or for that matter, how to even come up with a look + style for your big day. Don’t worry girl, I got your back! 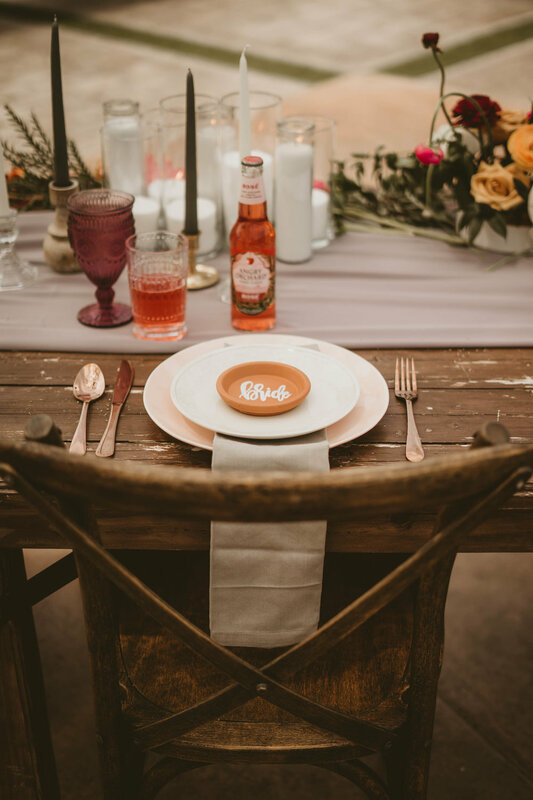 We will figure out the colors you love most, what look you are absolutely smitten with and narrow down all those Pinterest ideas and turn them into your dream wedding. Creating mood boards, a color scheme, selecting rentals, you name it…I help you with everything. I take the stress off you and become your stylist BFF. You deserve it girl! need help planning your wedding? Don’t worry babe, you’ve come to the right place! I am so happy you stopped by and are taking the time browsing my website. I hope that we can be of service to you and take some stress off your shoulders. I know it's a lot to take in after your engagement, but don’t worry…that’s where I come in. From start to finish, I sit down with you to get an idea of venue location, planning out your list of vendors, getting a timeline put into place and helping you to stick within your budget! We have several packages for you to choose from and I am so excited you have chosen us to make your big day extra special. I would love to accommodate any event needs that you may have and I am looking forward to hearing more from you. Let’s see what package best suits your wedding day needs and get the planning process started! A wedding planning book designed with you in mind. Sarah designed this book to help you create the wedding of your dreams and be the bride boss that you are! Own organization by keeping everything in one place. That’s right, I take the time to sit down with you and get to know what brought you and your fiancé together. Let’s make your special day epic! Is it that coffee shop you went to on your first date? Let’s bring in a cute coffee cart for your guests and you to enjoy and remember what brought you two together. Is it a slice of pizza? Great! Let’s bring in a heart shaped pizza. Whatever it is that brought the two of you together, let’s embrace it and remember these special moments. It is your wedding day after all…so why not capture those intimate moments. I am not your average wedding stylist + planner, I take the time getting to know you, stand by your side through all the tough decisions and only take on a select few brides throughout the year. This is my passion, YOU are my priority and I would love nothing more than to dive deep, get to know you and make your wedding day something your guests will still be talking about for years to come! I am so excited to create some wedding magic bliss with you. Creating unique one of a kind workshops for photographers, stylist and anyone in the wedding industry looking to build their portfolio or just hang out for the day and network. I present to you Wedding Life Social. At each event, you will have the opportunity to get hands on experience and network with other creatives in the industry. Just click below to see dates, locations and what workshop would be the best fit for you. if you’re still reading this…we may be the perfect match! Let’s chat some more about how we can make your day one for the books!